Having kids definitely changes the type of house projects you undertake, such as this quick project to create new storage in our living room to put all the toys in one place. 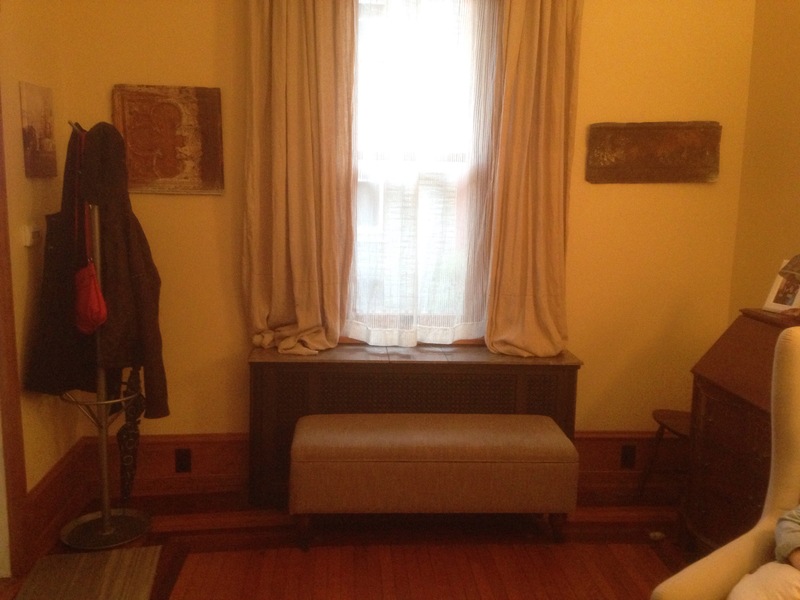 We already have a radiator with a large cover taking up the wall space beneath the window, so it seamed like a good opportunity to fill in both sides of the radiator with new shelves. 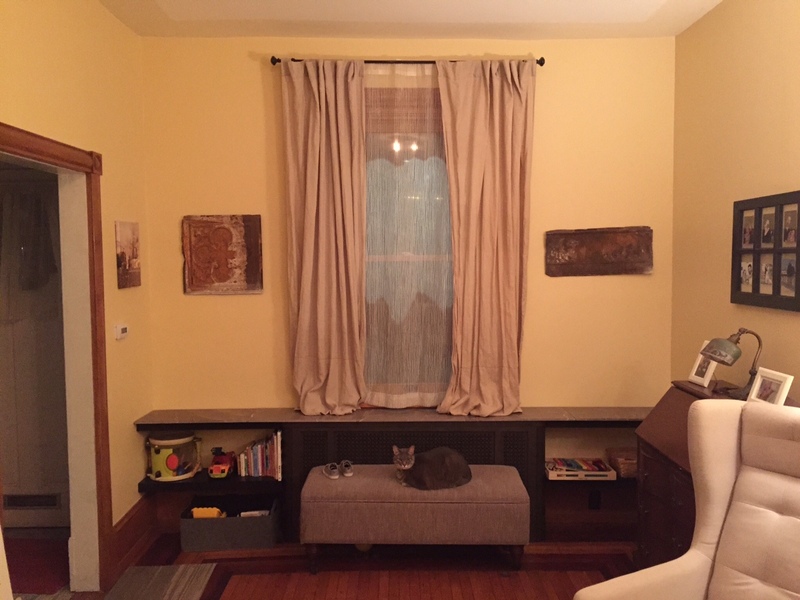 Looking for an affordable, clean line shelf that we could customize the length, we went with the IKEA Lack floating wall shelves. They cantilever off of the wall on these brackets, so it’s important to get good wall anchorage. 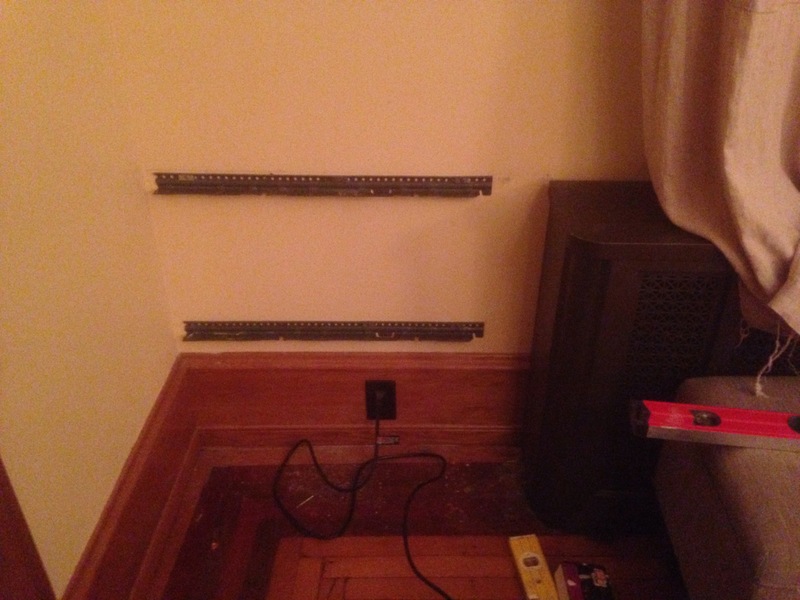 This wall happens to be plaster over brick, so lots to anchor too, just a pain to drill all the holes into the brick. 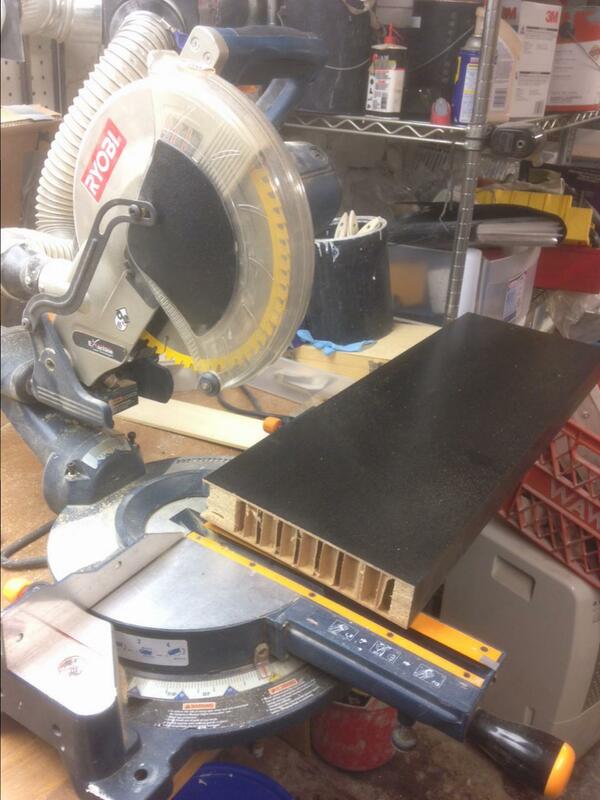 Once the brackets and shelves were cut to length and the brackets attached the shelves went right on and are secured with set screws on the bottom. To give them a little more strength, I also attached the ends to the side walls. 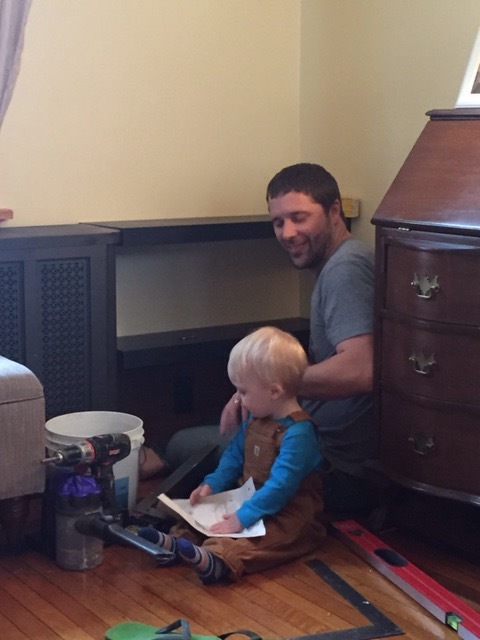 By the way, it’s nice to have a little helper! 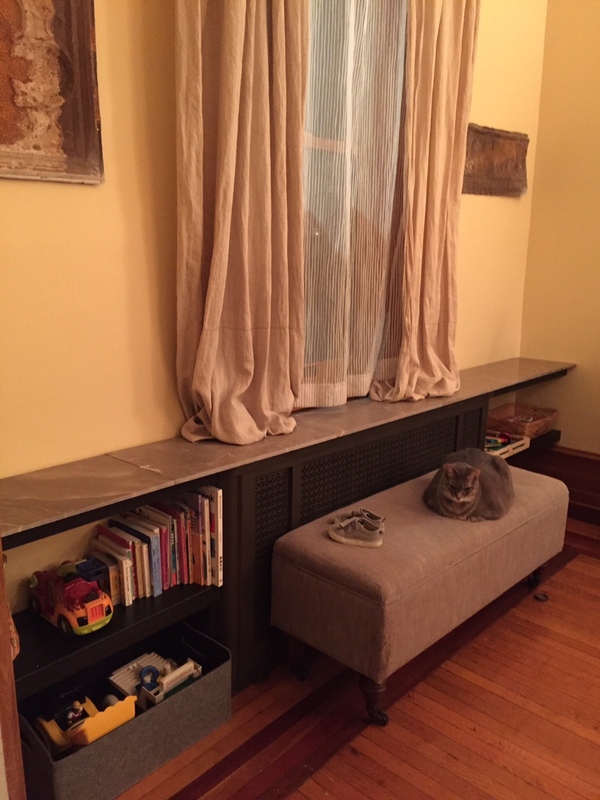 Finally to give it a more finished look and tie the shelves and radiator seamlessly together, we put 12″x24″ marble tiles across the top, attached with double sided foam tape. They were samples and leftovers from a work project, so it’s always good to recycle/reuse! We finished the storage organization off with a series of baskets, so now all we need to do is make sure the toys get put away every night!